Special Dispensation: Ivanka: A fitting successor to Queen Esther? 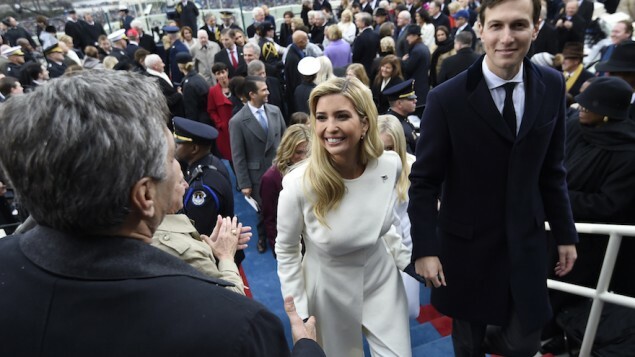 CHULA VISTA, California — Someone in my synagogue asked me an interesting question about Ivanka Trump and her husband Jared Kushner: What kind of Halakhic dispensation was given to them to drive on the Sabbath to the Inauguration of the President? The same question came up recently when the Trump entourage traveled on the Sabbath to meet with the Arab leaders from forty countries in Saudi Arabia. Washington D.C. doesn’t have the best reputation for being a safe city, in fact it is considered one of the more dangerous cities to live in. Would safety be an issue? Possibly, but with all the presidential bodyguards looking over the family, it might not have been that serious of a problem. There is a funny story attributed to Bill Clinton. · A former White House chief of staff Jack Lew, who was known for strictly observing the Sabbath, refused to work or to pick up any phone calls from Friday to Saturday sundown. That is, until Bill Clinton couldn’t reach him — and the then-president reportedly said into the speakerphone: “I know it is the Sabbath, but this is urgent. God would understand.” Lew consulted his rabbi, and it was decided that if the phone calls were emergency, he would not be breaking Shabbat by picking up the phone. Since the days of the Bible and throughout much of Jewish history, there have always been prominent court Jews in the political arena who have often played a significant role in shaping or influencing public policy. The images of the lovely Ivanka Trump observing Jewish customs and traditions may remind us of how Queen Esther was depicted in rabbinic folklore and tradition. In some of the early midrashic texts, Esther is an exemplar of Judaism. Yet, her piety and willing to sacrifice herself for her people ultimately made her into the heroine we all know and love. Yet, despite the happy ending, the Sages debated whether this book should even be included in the biblical canon because God’s Name is absent throughout the text. With all of Esther’s faults, the Sages gave her a special pass in many ways–a point that the Talmud itself admitted . In a way we should all be proud that Ivanka is teaching people about the joys of being Jewish and traditional. 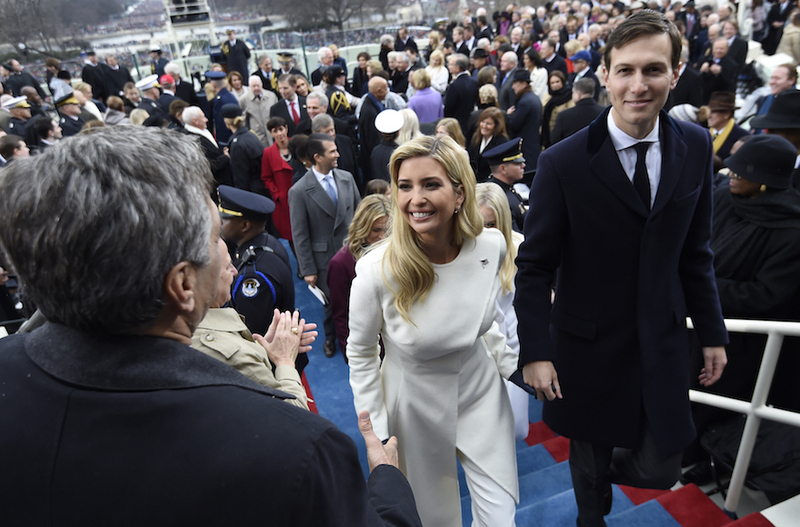 To be honest, whenever I hear questions about Ivanka and her Orthodox husband Jered “driving on the Sabbath” to the inauguration of her father, I find it amazing how critical people are of her. I suspect one reason people don’t like her is because of the national schism that has pitted the Republicans and the Democrats. In the eyes of many liberals, there is nothing—I mean, “NOTHING” that President Trump can do since liberals see the President in the most uncharitable terms. The same nastiness has been directed toward his lovely wife, Melania and the President’s immediate family. Liberal-minded Jews in general often get nervous whenever they see fairly traditional observant Jews involved in the political arena. However, I have heard many friends express similar comments about liberal Jews who love to bluster their opinions—regardless whether some non-Jewish folks might find their attitudes obnoxious or insulting to their traditional American Christian beliefs. After watching the meeting that took place between the President and the Arab leaders, I must admit I felt very proud of how the President conducted himself; I believe Jared Kushner played a significant role in trying to promote better American and Sunni-Arab & Israeli relations—and that is something we have not seen at all in the last two decades. Such behavior is important–even on the Sabbath! In the final analysis, maybe the time has come for us to try to promote bridges that foster and facilitate understanding. Is Ivanka Trump an echo of Queen Esther? Maybe with a little bit of encouragement from her fellow Jews. This aphorism is actually a paraphrase of the Nicomachean Ethics 1096a11-15.